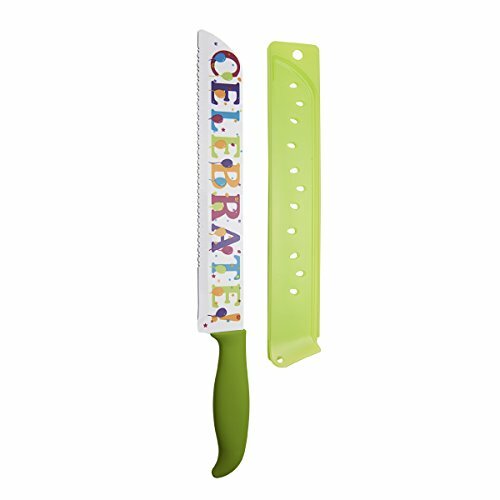 This 11-Inch knife with blade cover features high carbon stainless steel blades. Perfectly weighted and balanced. Design prevents foods from sticking or tearing while cutting. Hand wash recommended. Lifetime limited warranty.